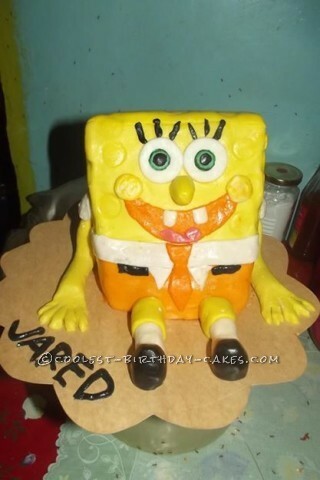 Making this Spongebob birthday cake cake was exciting for me because this is one of my nephew’s favorite and I want it to be nice and really looks Spongebob. Maybe the hardest part for me was making the fondant, but I still made it work out. The best thing and the funniest thing while making the cake was when I did Spongebob’s mouth because it reminded me of myself. I have Spongebob teeth meaning they are big like Spongebob’s and there is a gap, not as wide as Spogebob. Well, my nephew was amazed and even the guests as well. They thought its only a toy because it really looks like a toy so they were amazed. Even my family and my son love it and makes me proud. So far I have enjoyed making the cakes so i just take it easy as long as you enjoy what you are doing you will have a great result or outcome. Hope this will help to inspire more kitchen lovers like me out there.